The American Republican Senator, John McCain, visited Pakistan with a bi-partisan delegation this week. It was conducted against the backdrop of a much talked about meeting between the American President, Donald Trump, and Indian Prime Minister Narendra Modi. Senator McCain met the top civilian and military brass and parted on a note of positivity – Pakistan was an important ally, how Pakistan was imperative for stabilisation in the region, how the US was neutral as far as the Kashmir policy was concerned and so on and so forth. The trip itself was lumped together with a July 4th visit to the American troops stationed in Afghanistan. As useless and futile as this trip may have seemed, it can be viewed from different angles. Firstly, Senator McCain is the chair of the Senate Armed Services Committee in the United States Senate. It is one of the most powerful committees since it overlooks and holds all defence related expenditures and actions accountable. The committee takes defence expenditures extremely seriously and Senator McCain may have flown in just to ensure that American funding for the war against terror is being used for exactly that purpose. He is a frequent visitor to Pakistan, and most of the time, he is here to ensure American military funds are distributed wisely and accordingly. In line with this analysis, the delegation was taken to South Waziristan to demonstrate the recent gains made by the Pakistan Army. They were given a tour of the area and shown the enhanced surveillance measures, fencing and military fortifications. They were also given an account for the amount of money that was spent on these developments, which had come directly through the US support. Secondly, Senator McCain has publicly stated that Trump makes him nervous. 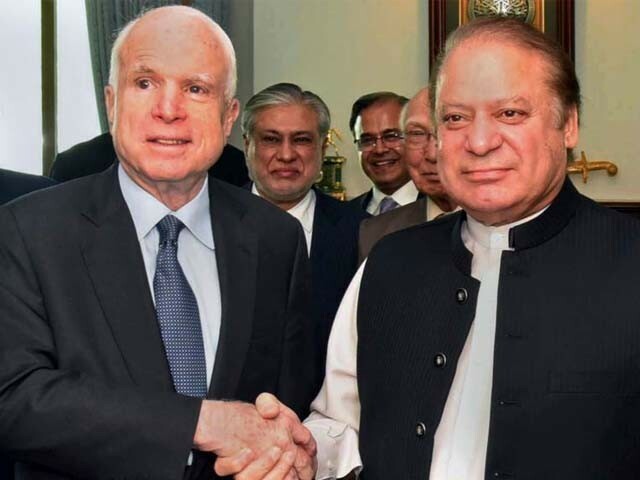 With Modi visiting Trump and both world leaders fawning over each other, Senator McCain may have sought to ease any concerns that Pakistan was harbouring over issues discussed in Washington. Additionally, the fact that India lobbied for and had the US officially designate Syed Salahuddin as a global terrorist had Pakistan fuming. Salahuddin is considered to be a Kashmiri freedom fighter, therefore, they naturally took offence to him being called a terrorist. Pakistan viewed this as an act of compliance by the US to Modi’s demands. All throughout Modi’s visit, the topic of Pakistan’s position in the region emerged quite frequently. Pakistan was regarded as a nuisance in the region and according to the two leaders, it needed to curtail terrorism conducted from its soil. Trump referred to India as a ‘true friend’ and both leaders hugged it out for the media. Thus, I feel, Senator McCain may have visited Pakistan in order to do some necessary damage control. Thirdly, the senator may have also visited Pakistan to prepare them for a huge blow – a few major defence deals between the US and India. Modi’s trip to the US coincided with the $2 billion sale of 22 American made naval surveillance drones to India. While these drones are military grade, their purpose is aerial espionage. The US Vice President Mike Pence recently announced that the US was eyeing further defence deals with India that would see India buying AH-64 attack helicopters and C-17 transport helicopters. If we dig a little deeper, things don’t seem quite peachy for either India or Pakistan. As pointed out several times, Pakistan is not in a position to ‘do more’ in its contribution towards fighting terrorism. Trump and his advisors can cry hoarse about what Pakistan does and what it doesn’t do, they can threaten to put Pakistan on the list of countries banned from flying to the US or Trump can publicly tweet his love for Modi, but simply put, Pakistan simply cannot do more. The Pakistan Army is spread thin on either side of the borders, with India drumming up anti-Pakistan hysteria in the west and an increasing hostile Afghanistan towards the east. Additionally, internal military operations in Federally Administered Tribal Areas (FATA) and the south of Punjab are complex in nature, solely because they are taking place inside Pakistan. The civilian leadership is embroiled in its own legal battle over the Panama issue and that is the only area it seems to be making any effort towards. India, on the other hand, needs to be careful about how much weightage they give to Trump’s overtures. In true Trump fashion, he publicly lashed out against India for accepting billions of dollars in order to remain in the Paris Climate Accord. Additionally, with all the arms deals that India is striking with the US, they must remember that the US will return for its pound of flesh. The drones the US sold to India are primarily meant to spy on China in the Indian Ocean. China is like the 800 pound gorilla in this region, and India must tread extremely carefully when it comes to aggravating China. The arms deals themselves are a measure for Trump to lower the trade deficit with India. 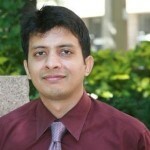 It is estimated that arms trade between India and the US has the potential of reaching to about $20 billion. That is $20 billion that will be going from the Indian national exchequer to American defence companies. That is money that could be spent promoting a digital India, fighting poverty, improving healthcare or even providing public utilities. Lastly, the South Asian region will never find peace as long Pakistan, India and Afghanistan keep acting macho. No amount of military spending will be enough to fend off turbulence from all directions for Pakistan. India will never truly realise its potential if it keeps nursing paranoia where Pakistan is concerned. Afghanistan should be cautious of antagonising Pakistan too much, lest they close their borders to Afghan trade and start sending all the refugees back. In conclusion, Senator McCain may come and go as many times as he wishes, but his visits will serve very little purpose. They will only remain to be a photo op session on his way to the much more turbulent Afghanistan. Wars and battles have to be fought by building economies and providing opportunities to people, not by militarily crushing them into oblivion. No one really cares if Pakistan fumes or burns. Get rid of this notion of your exaggerated self-importance. Remind yourself that you have been sanctioned numerous times, you have been humiliated on and off the battlefield and in the diplomatic field. Yet you try to reassure yourself of how indispensable you are when no one thinks so. You are acting like a mutt which keeps barking incessantly to prove to its current master that it is loyal to him. At one time, it was US, today it is China. You are already preparing for the day China will also dump you by trying to get closer to Russia. All should look up June 2017 Pentagon Study “Enhancing Security and Stability in Afghanistan” to see current American views on the region! He is always I repeat always salivating for more war. He is the one who has been documented and photographed with the “moderate rebels” and he intends to destroy Syria. Destroying Syria has been the goal of the Zionists and the Wahabis both. Israeli air Force Once again strikes syrian Army in western syria. That’s Golan heights where these Oh so moderate rebels are also lodged. Isn’t he the guy who picked Sarah Palin for VP and lost terribly against Obama? Yeah doesn’t show much intelligence. Had you bothered to do any research about John McCain, you would have noted that he is Chairman of The Armed Services Committee in the US Senate! Yeah..he’s the chairman of the US Armed services committee in the senate….